A U.S. judge has delayed for two more weeks the first grizzly bear hunts to be held in the Lower 48 states in almost three decades. 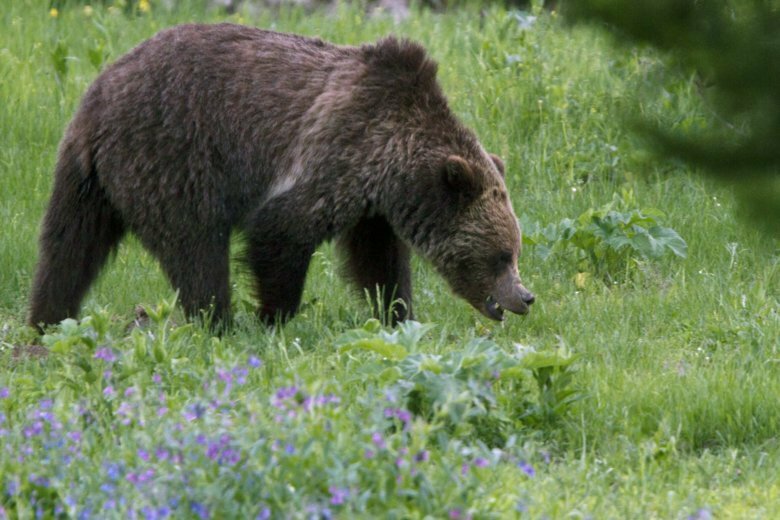 Thursday’s ruling by U.S. District Judge Dana Christensen leaves the fate of about 700 bruins in the Northern Rockies in limbo as he considers whether federal protections for the animals should be restored. Christensen already delayed the hunts in Wyoming and Idaho once, with an order that came two days before hunting was set to begin on Sept. 1. The U.S. Interior Department in 2017 declared the animals no longer needed federal protections. Up to 23 bears would be allowed to be killed in the hunts. A U.S. judge is due to decide Thursday if two Rocky Mountain states can move forward with the first public hunts for grizzly bears in the Lower 48 in almost three decades. U.S. District Judge Dana Christensen in Missoula, Montana, put on hold for two weeks hunts scheduled in Idaho and Wyoming. That order expires Thursday. Hunt opponents asked the judge for a further two-week delay, but he did not immediately rule on the request. The U.S. Interior Department last year lifted protections on the population of about 700 grizzlies in and around Yellowstone National Park. Wildlife advocates and Native American tribes sued to restore their protected status. Up to 22 bears could be killed in the Wyoming hunt. Idaho is allowing one bear to be killed.